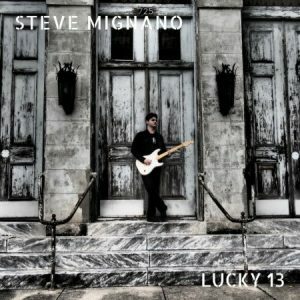 Steve Mignano is a New Orleans-based musician who is one of the hardest working guitarists in New Orleans according to his press information. 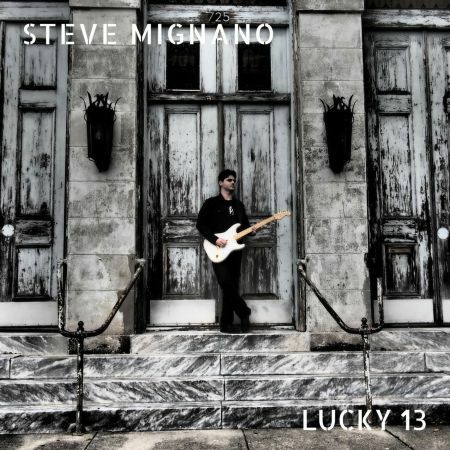 Mixing blues and rock guitar with his very soulful vocals, Mignano is a talented guitar player and singer. 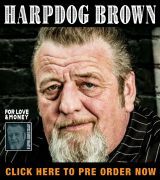 He has regular gigs in the Crescent City on Sunday afternoons and Tuesday, Wednesday, Friday and Saturday evenings- he does work hard! Mike Peros is the main bassist and Hank Smith plays on 3 of the tracks. Jerome Harris is on drums for 5 tracks and Brian Melancon is on the other 3. It’s a trio format with lots of power and a driving sound. The album opens to “Death Song,” a cut that is an interesting blues rocker. Mignano sings that “life is short and when the time comes, sing a death song and die like you are going home.” A dark and brooding but cool cut, it features a big guitar solo my Mignano. The title tracks is next, a mid tempo cut with a driving beat. Pretty much a head banging rocker, the song features some nice wailing guitar and the back line smashing and throbbing on a big old groove for Mignano to follow. “Devil Get His Due” is a fun boogie where Mignano jumps and jives in a tune about the devil always getting what he comes for. The lone cover is Bo Diddley’s “Before You Accuse Me.” Steve takes the tempo way down, works with a throbbing groove and opens with a long instrumental opening. He gets to the vocals and turns them into a very slow and purposeful blues, an interesting take on this classic that usually winds up rocking. “Hack Boogie” is a nice little boogie with a cool guitar sound that continues throughout this fine instrumental piece. “If You See My Baby” hearkens back to classic Slim Harpo, another Louisiana native. Stinging guitar and a familiar beat make this a good little song. Next is “Snarling Dog,” another piece that drives along with purpose and Mignano sings with a breathy passion. He offers up a big, rocking solo here once again. “Too Hot For Hell” is a rocking cut that Mignano also fills with passion and another big guitar solo. “Forgive Me” concludes the set. An acoustic number, Mignano goes solo on this ballad with a folk rock meets Louisiana sort of sound. It’s a nice contrast to the other work here and shows diversity. At 35 minutes the CD is not too lengthy, with songs ranging from 3 to almost 6 minutes. Mignano effectively fills each space with a good sound and paces out each cut with good effect. 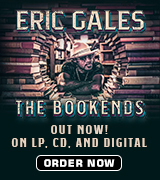 The songs are solid, lyrically well done and delivered in a blues rock sort of soul style. It was my first exposure to Mignano and I enjoyed it. I hope to see him live on the road one of these days. He’s a good new artist whose technique and style is interesting and intriguing.